Inspired by Couture Style and Chic Designs, these beautiful appetizer tongs are perfect for weddings, buffets or dinner parties...or just because! Perfect gift for that entertainer in your life. This item is Made to Order. 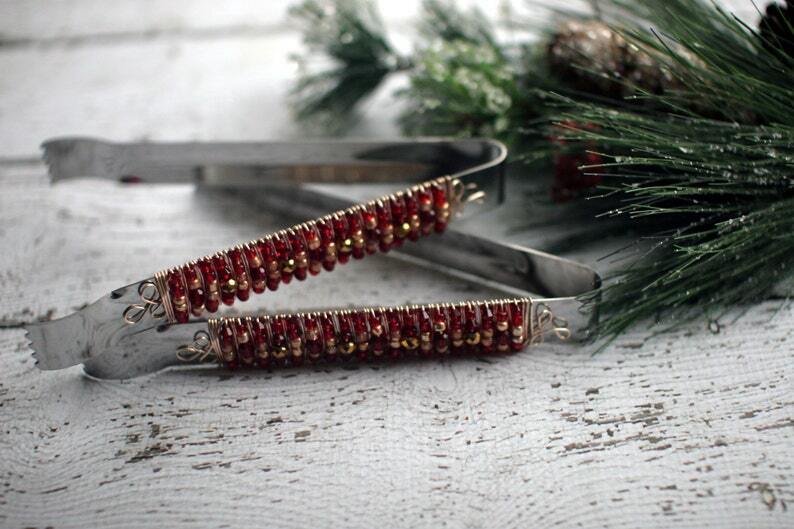 I use a non-tarnishing wire and beautiful red & gold glass beads.